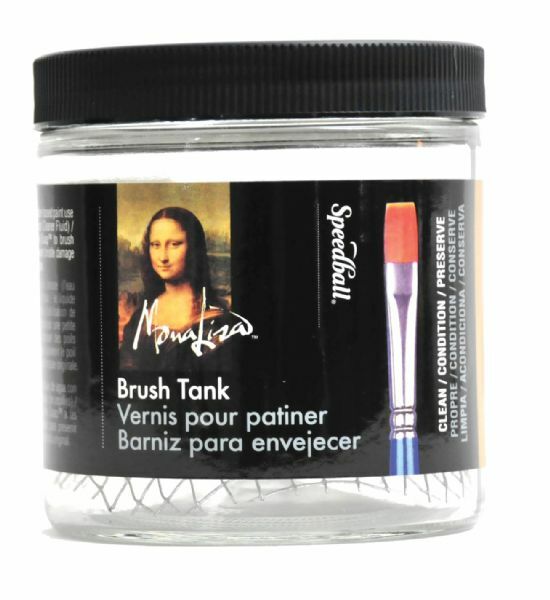 Tank has a galvanized screen for cleaning brushes and a tight fitting lid for storing cleaning fluid. * Use brush cleaners or conditioners to preserver brush life. * Suggested for use with 160-016 brush cleaner. 3.81" x 3.62" x 3.62"